If you're newly eligible for Medicare because you have a disability and you're younger than 65. 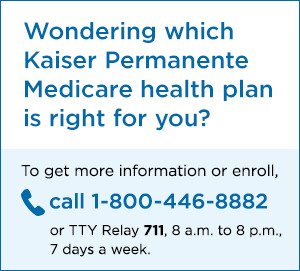 Sign up for a Medicare Advantage plan during the 7-month period that starts 3 months before your 25th month of getting Social Security or RRB disability benefits, includes your 25th month of getting disability benefit, and ends 3 months after your 25th month of getting disability benefits. If you're already eligible for Medicare because of a disability and you turn 65. Sign up for Medicare Advantage during the 7 months surrounding your 65th birthday. You have Medicare Part A coverage, and you get Part B for the first time by enrolling during the Part B General Enrollment Period (January 1 through March 31). Sign up for a Medicare Advantage plan from April 1 through June 30. Coverage becomes effective July 1. This is a short window of time each fall when all Medicare beneficiaries are allowed to change or drop a Medicare Advantage plan or Part D prescription drug plan. For 2018 it's October 15 through December 7. Coverage changes are effective January 1. Beginning in 2019, you can enroll in or make changes to your Medicare Advantage plan during the Open Enrollment Period (OEP), January 1 through March 31 every year. Sign up for a stand-alone Medicare Part D Prescription Drug Plan (if you return to Original Medicare). Most Medicare Advantage plans include prescription drug coverage already. Usually you can't enroll in a stand-alone Medicare Prescription Drug plan if you already have a Medicare Advantage plan, but there are some situations where you can. Call your Medicare Advantage plan if you have questions.